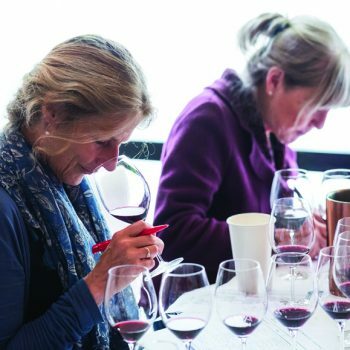 This year’s Cabernet Sauvignon Masters showed that producers from all over the globe have what it takes to make beautiful expressions from this popular grape, writes Rupert Millar. HEADING INTO the room at the Bluebird restaurant in Chelsea, where this year’s Cabernet Masters were held, those who happened to glance to their right would have seen a rather striking model of one of Sir Malcolm Campbell’s Rolls- Royce Blue Birds. It was one of those fantastic, Thunderbird-esque machines that to this day, even from pictures or scaled-down models, positively radiates power, sleek elegance and the thrilling feel of barely controlled speed with complete effortlessness. This is rather what one would hope for from Cabernet Sauvignon, especially New World examples, when all pistons are pumping. In a crowded wine competition arena, the Drinks Business Global Cabernet Sauvignon Masters stands out for its assessment of wines purely by grape variety rather than by region. Divided only by price bracket and, for ease of judging, whether the style was oaked or unoaked, the blind-tasting format allowed wines to be assessed without prejudice about their country of origin. The best wines were awarded medals which ranged from Bronze through to Gold, as well as Master, the ultimate accolade, given only to exceptional wines in the tasting. The wines were judged by a cherrypicked group of Masters of Wine and senior buyers on 8 June at Bluebird restaurant in west London. This report only features the medalwinners. It was a very New World-heavy line-up this year – no great surprise given the medal hunger that exists among producers in the southern hemisphere – but there was a streak of French and Italian Cabernets to add a little Old World competition and a few surprises lay in wait from Israel, Lebanon and Turkey, hoping to catch out the unwary. Cabernet is the most widely planted grape variety in the world. From Bordeaux to Napa to Coonawarra, for many producers Cabernet and Cabernet blends are the yardstick against which some of the world’s greatest wines are measured. Producers in places as far flung as Ningxia in China often turn to Cabernet to try to establish their nascent reputations. Cabernet can be a cruel mistress, however. Capable of great and delicious diversity from cooler red fruit and pleasant green pepper to lush cassis, tobacco and vanilla when well handled, in the wrong hands or climate it can equally be made into the extremes of a thin and stalky disappointment or a jammy, stewed, over-extracted and oaked mess with an ’ambitious’ price tag to boot. Fortunately, the overall standard was really very good (six Masters were awarded), a point picked up on by Patricia Stefanowicz MW, who noted: “In the 2018 Masters, the quality of the wines, from inexpensive to stratospherically expensive, was generally high. The wines were, for the most part, medal-worthy, juicy, well-balanced and delivering a good glass.” For Victoria Burt MW, the wines that failed to rise higher than Bronze showed: “A lack of freshness and vibrancy. MASSIVE IMPROVEMENT Heading one of the judging tables, Jonathan Pedley MW added: “Only a few wines showed excessive greenness (traditionally a curse of Cabernet Sauvignon). Oak was generally well handled. A couple of wines were overextracted.” He was also impressed by a “massive improvement” in the number of wines not blighted by reduction. “Perhaps winemakers are getting better at handling screwcaps and preserving fruit without going too far and getting reduced aromas?” he suggested. For a grape variety renowned for making some of the most expensive wines in the world, however, if there was one category that all of the judges commented on particularly favourably for its quality and consistency it was the sub-£10 bracket. “They were consistent in how good they were,” Michelle Cherutti-Kowal MW noted approvingly. 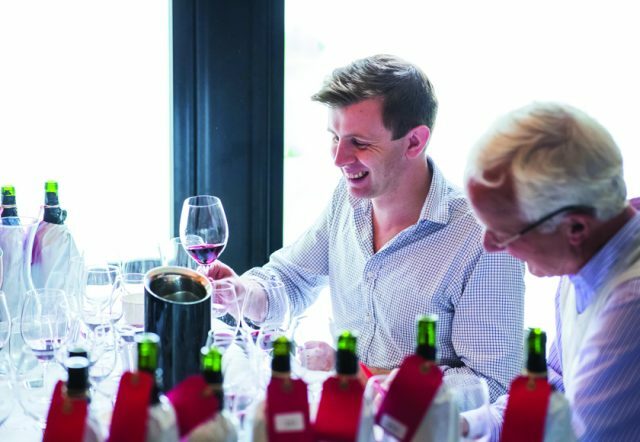 “Good value for money.” “There seemed to be some really good efforts at the lower price points, sub £10 – where the focus was on drinkability and freshness,” agreed Alistair Cooper MW, while Robin Kinahan MW liked their “attractive varietal characteristics and not too much oak or alcohol”. It was in the middle sections, £10-£15 and even £15-£20, where Cabernet should really be getting into its stride, that there were some frustrating wines of the sort that exhibited all of the worst traits of Cabernet, when winemakers are trying too hard. Cherutti-Kowal said the wines she tasted in the £10-£15 category had been a “weird” mix, with some admittedly “good”, but a few that were outclassed by the some of those under £10. However, she was more impressed by the £15-£20 category, which she thought had yielded some “very good wines in a difficult price range”. Just how good is clear by the fact that one of the five Masters awarded was to Château Ste Michelle’s 2015 Columbia Valley Cabernet in that very bracket; the tasting note from db editor-in-chief Patrick Schmitt MW highlighted its “sweet black fruit” and almost a “Syrah pepper note” on the nose, as well as “lovely olive-y and cassis characters” on the palate, which was multi-layered and balanced. It was a rather mixed bag from South America, with some very strong wines, especially in the sub-£10 category, where there were some punchy, over-achieving wines, but they seemed to falter a little further up the scale, with at times just a touch too much of a herbaceous character among the Chileans. Rather pleasingly, a country that put on a better showing than usual was South Africa. Although one or two were still “a little too robust”, according to Stefanowicz, there was much less of the ‘charred/burnt’ and ‘rubbery’ characteristics that are still lingering marks of some Southern African reds and there was a good haul of Gold and Silver medals for the wines. Old World regions weren’t entirely left out of the upper echelons of the medals either, and a French and an Italian wine were given Masters medals, the former going to Château La Coste from Provence, and the latter to Conti di San Bonifacio from Tuscany – another example of Cabernet’s ability to turn out top-class wines in this rather unlikely corner of Europe. Among some of the more ‘esoteric’ regions there was something of a split too, with some of the wines showing very well, such as Turkish winery Chamlija, which picked up two Golds, but a few others, again often at quite high levels, “did not show well”, said Pedley. Nonetheless, despite a few bumps in the road, the tasting showed that ‘King Cab’ continues not only to survive but thrive throughout the wine world, and at all price points it remains a pretty consistent bet.